Preserving the personal histories of civilians and soldiers who united to defend America during the Second World War, this oral history tells the stories of ordinary citizens who left behind jobs and families to contribute to the war effort. Chronicling the sacrifices made, this keepsake features profiles and interviews with the men and women who responded to the call of action. From soldiers to spies, to factory workers and nurses, this enriched history provides a comprehensive overview of the Second World War. "Doolittle Hoppes has assembled a collection of first-person narratives representing the many faces of The War, each more compelling than the last." 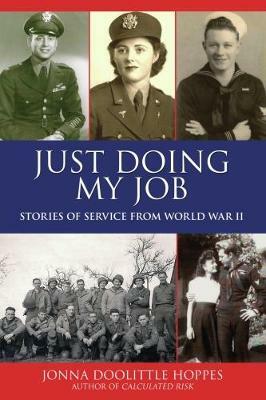 --"Author Magazine"
"In this revealing oral history, Hoppes gathers personal accounts of ordinary citizens who contributed to the 1940s war effort . . . Their significant sacrifices and vivid memory make for engrossing narratives of perseverance and faith." --"Publishers Weekly"